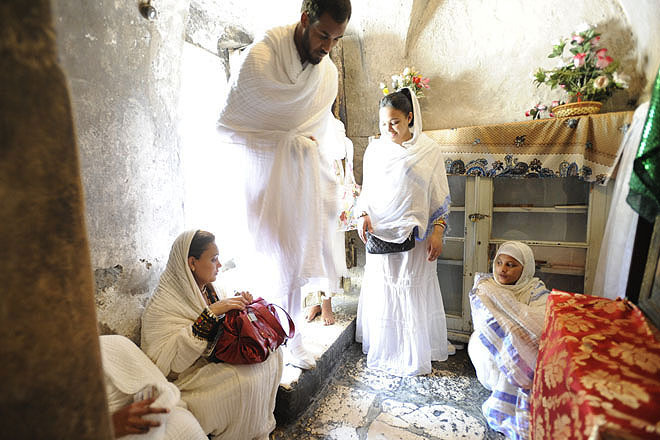 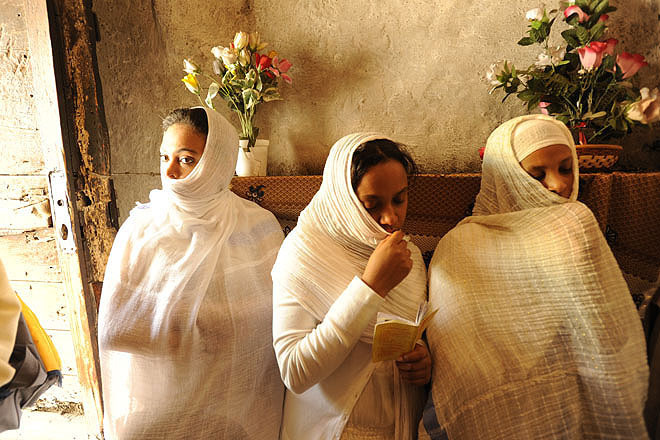 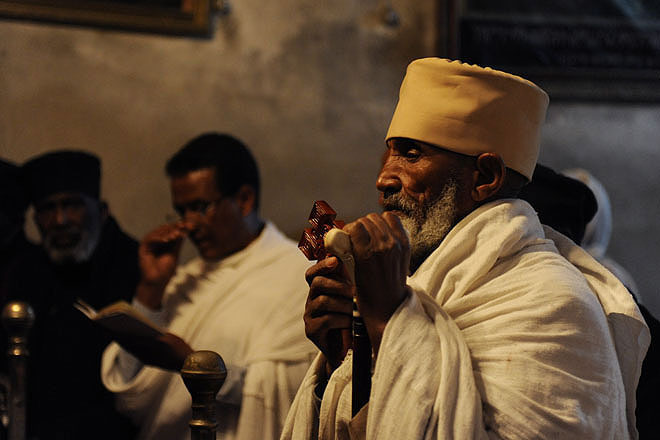 Believers at the Ethiopian Orthodox Church on the roof of the Holy Sepulchre on Maundy Thursday. 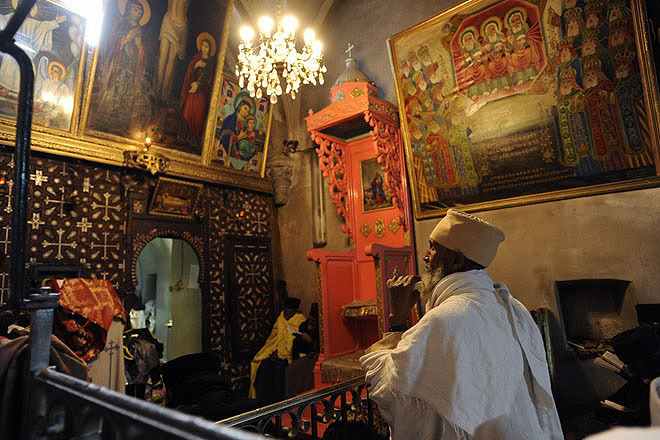 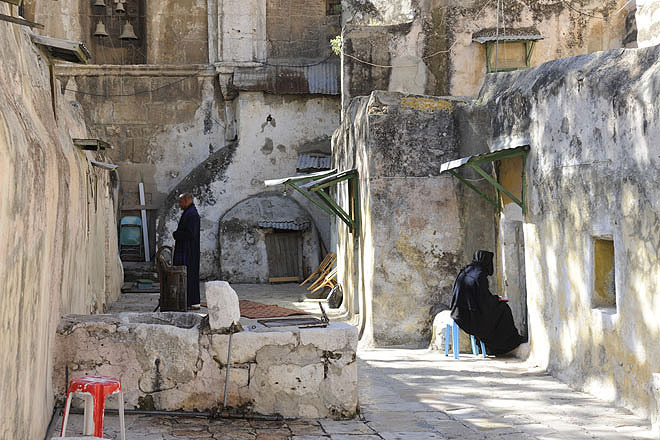 Ethiopian Orthodox Monastery on the roof of the Holy Sepulchre in Jerusalem. 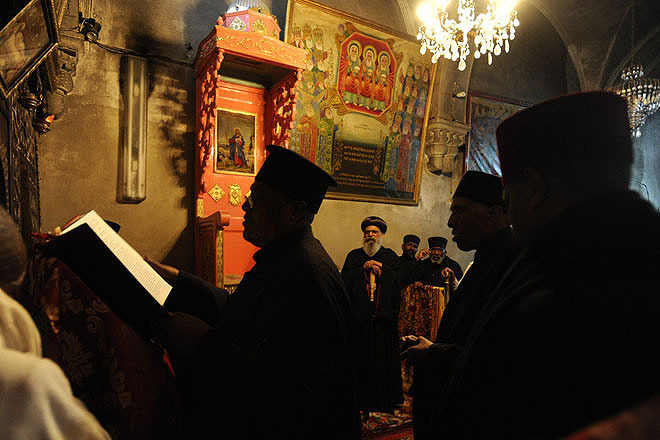 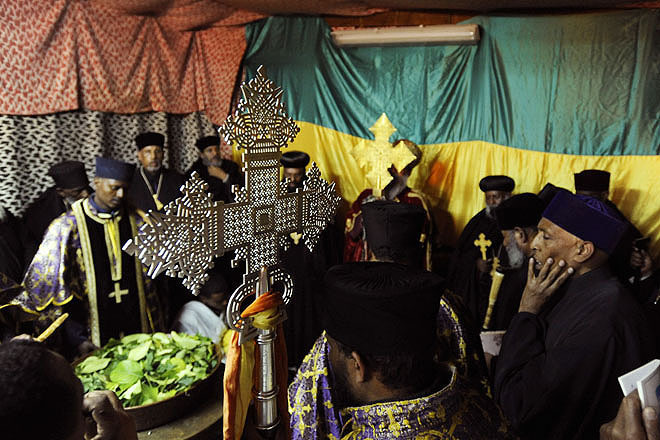 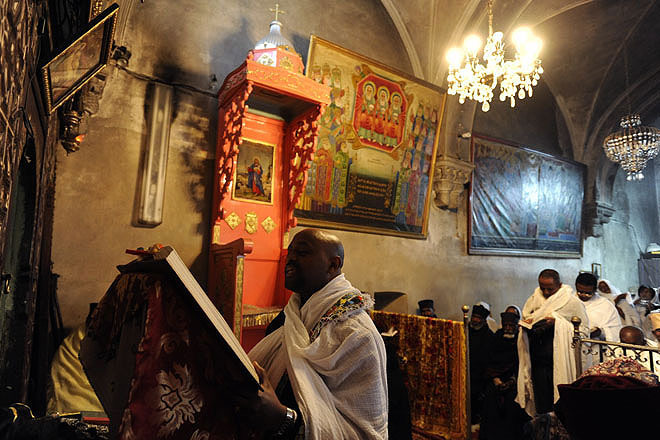 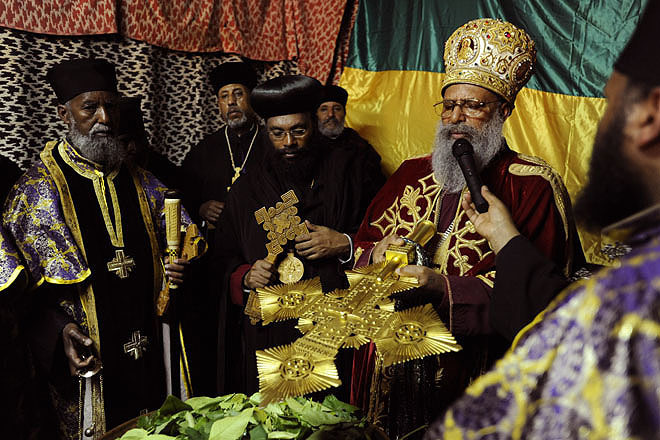 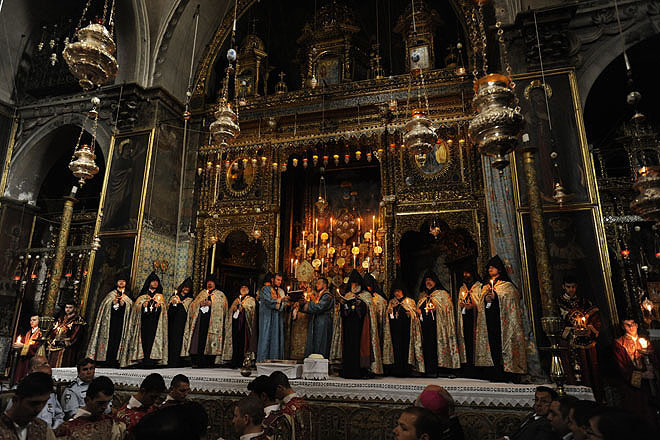 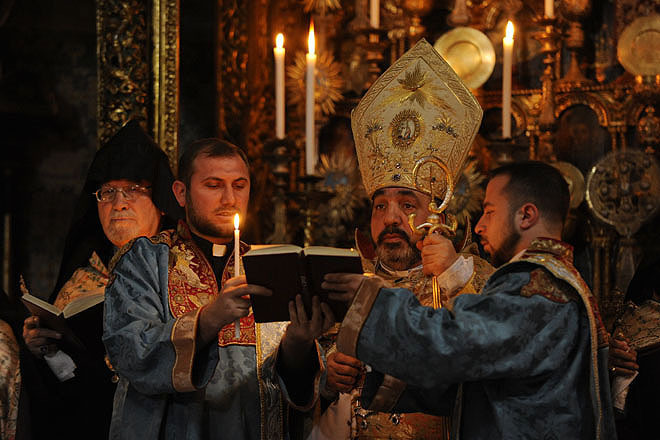 Liturgy at the Ethiopian Orthodox Church on the roof of the Holy Sepulchre on Maundy Thursday. 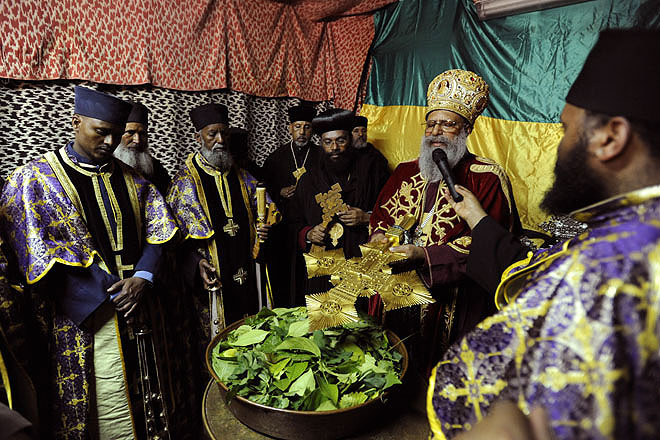 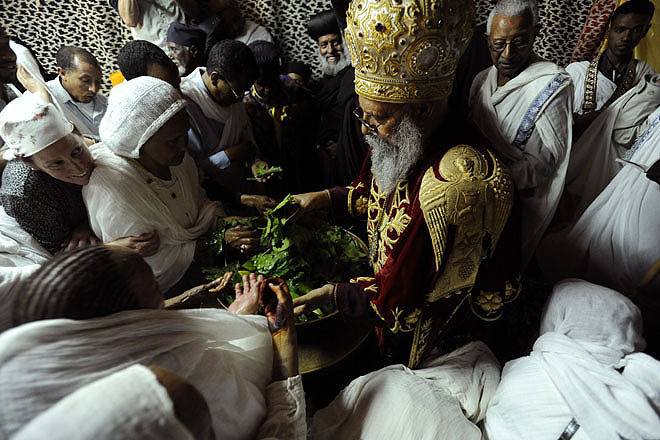 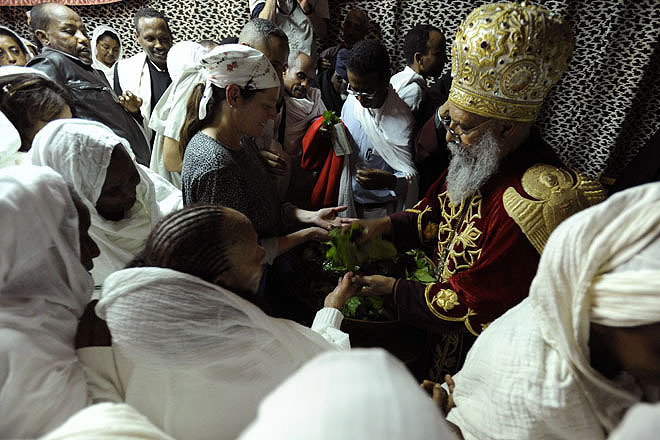 Washing of Feet Ceremony at the Ethiopian Orthodox Church on the roof of the Holy Sepulchre on Maundy Thursday. 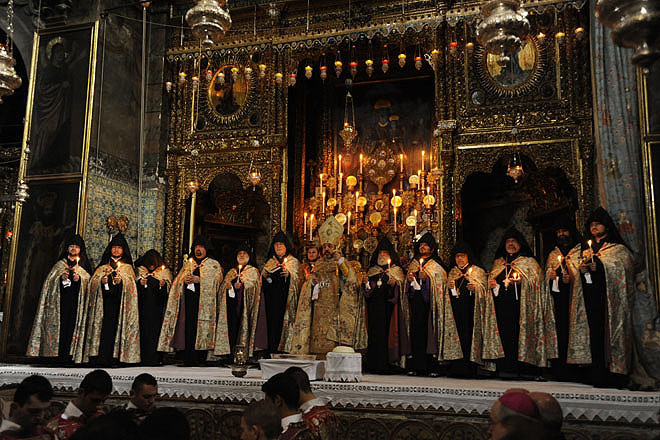 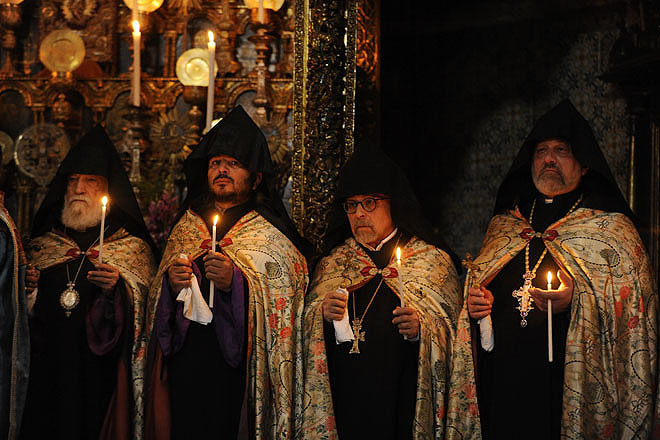 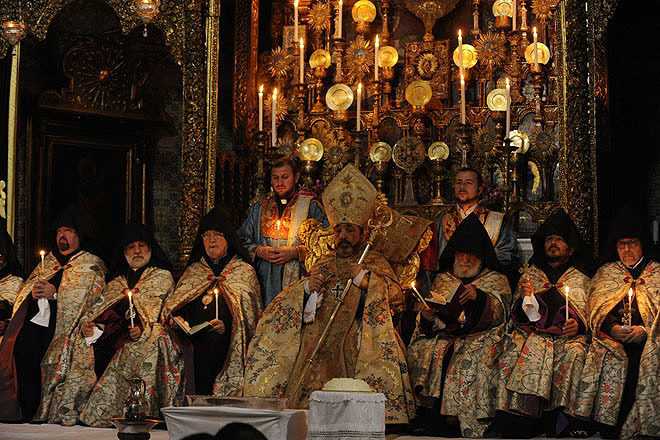 Washing of feet ceremony at St. James’ Armenian Cathedral on Maundy Thursday.